I saw Cori from La Vie Petite wearing these adorable shoes last week and I loved how she had styled them. So when I saw they were super cheap, I decided to order them. I. Love. Them. I also love this Stella & Dot necklace, along with this sweater. And while we're on the top of what I love, lets just say I'm obsessed with the color mint. Can you tell? Mint shoes, check! Mint sweater, check! Mint stones in necklaces, check! I've been loving mint too...it is so pretty with that necklace! Great outfit. Love this necklace!!!! Pretty outfit! 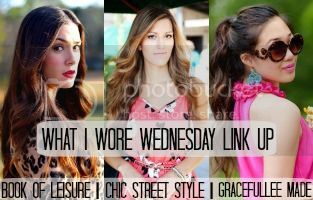 Love the top paired with the necklace! Oohh...mint anything I love. Great way to style these shoes, for sure! 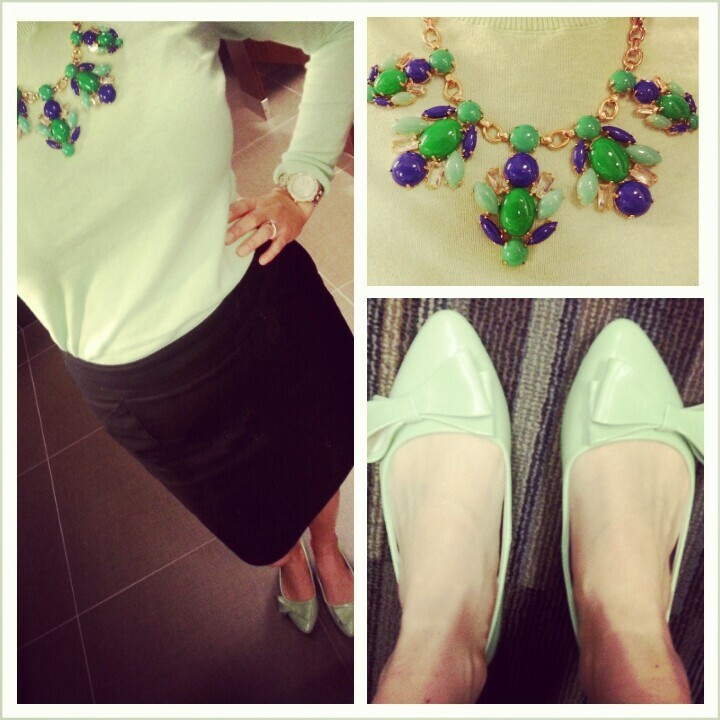 This is mint perfection....the necklace, sweater, and flats. Those bow flats. SOOO cute. Love how you wore it with the black pencil skirt girl! Sisters in mint! I am obsessed with mint too and have been NEEDING this necklace. Love that you balanced it with leather accents!